Pricing for more than 11,000 card sets. Front photos of an example card for most major sets. Values for individual cards and complete sets developed from thorough market research. Set descriptions including key cards, distinguishing features, distribution information and insert ratios. 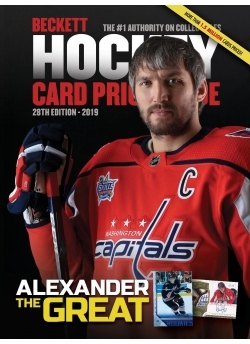 Complete checklists and pricing for every important hockey card set from 1910 to present including series featuring players from the NHL, minor and junior leagues and European leagues.